You can access GoDaddy Workspace Webmail email on your PC or mobile browser and also on GoDaddy mobile app. You can configure even Webmail email to outlook also. How to Access GoDaddy Workspace Webmail email on Desktop Browser ? You can use any web browser on PC. Enter the desktop version of GoDaddy Workspace Webmail URL and press "Enter". Enter username and password in the given fields. Click on "Log In" to open email account. How to Access GoDaddy Workspace Webmail email on Mobile Browser ? You can also check GoDaddy Workspace Webmail email on mobile browser also. Open mobile browser and enter the Mobile URL of GoDaddy Workspace Webmail email and press "Go" or "Return" key. Enter your user id in username and password in password box and login. How to Access GoDaddy Workspace Webmail email on GoDaddy Mobile App ? GoDaddy has its own Mobile App that you can download for iOS and Android devices. You can download it from Google Play or iTunes. Run this app and tap on "Email Management". 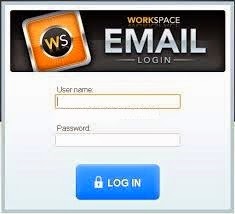 Enter email in email box and password in password field. Press "go" or "enter" to login into your GoDaddy Workspace Webmail email account. How to Configure Your Email Client ? Configure settings of your email application. Incoming server settings of “pop.secureserver.net”. Incoming server settings, use “imap.secureserver.net”. How to Access GoDaddy Workspace Webmail email on GoDaddy Dashboard ? You can also access GoDaddy Workspace Webmail email by logging in to GoDaddy dashboard in a Web browser, then click on “Email Management”. Click on “Webmail” to access the account in the Webmail tool.